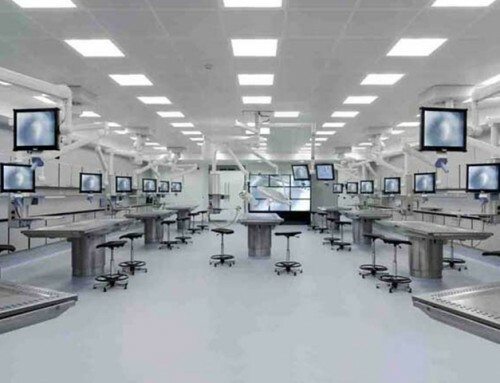 The University of Surrey is currently completing a multi-phased refurbishment of its library in the George Edward Building on campus. 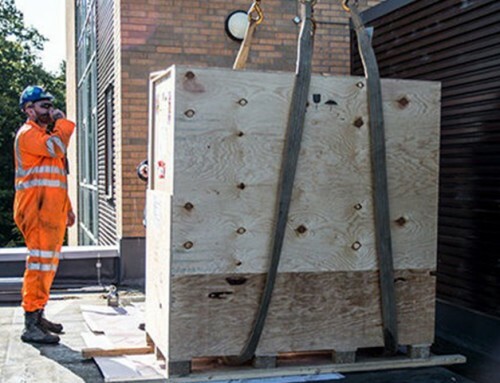 The project is being completed over several summers to minimise disruption to the students and the restricted access to the library collections whilst the works are completed. In 2016 Bishops Move were appointed to complete the sequential packing and movement of 500 linear metres of materials to our local storage facility whilst old shelving was removed and new shelving was installed to increase capacity. In 2017 Bishops Move were asked to complete a similar but much larger project to allow refurbishment of the 4th& 5th floors of the library. We were asked to complete the sequential packing and movement of 2750 linear metres of materials to our local storage facility. 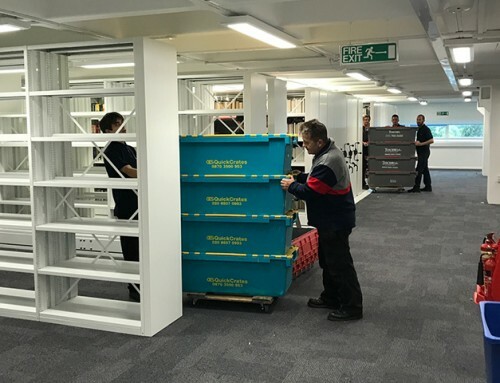 The move was further increased to include the internal relocation of 3400 linear metres of material to new positions within the library and 200 metres to a store on campus. 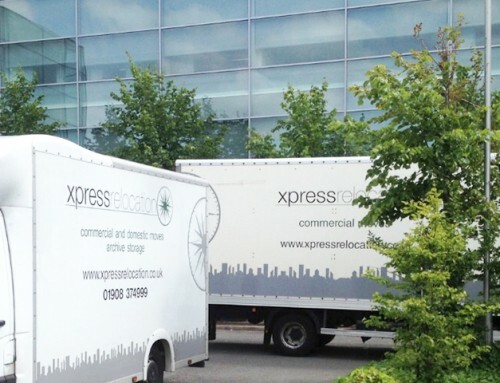 A further porterage team were also deployed to assist in the movement of library furniture and equipment and dispose/recycle of unwanted furniture due to be replaced. 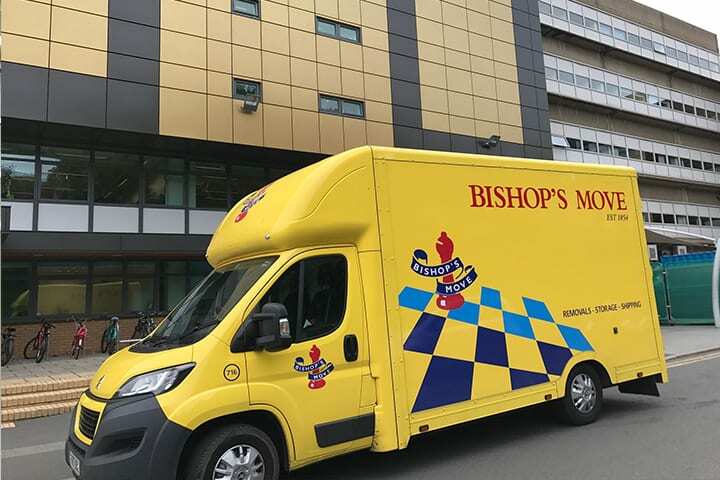 Bishops Move deployed a team of 26 staff each day with 3 vehicles all supervised and co-ordinated by our on-site Move Manager to complete this move within the 10 day programme. All materials currently in store are due to be returned in early September in time for the commencement of the new term.